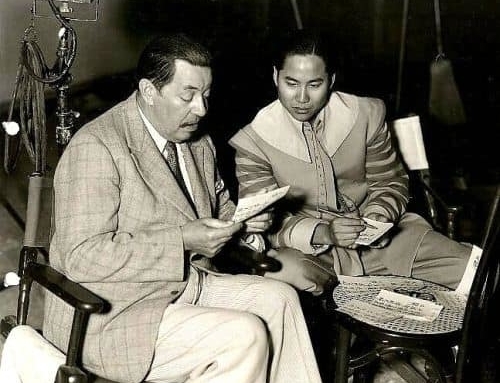 Author Robert Wang spoke about his new book on Radio 3 yesterday, and you can now listen to the interview online. 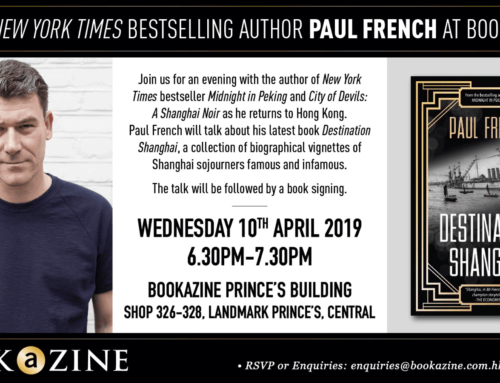 Hear how he fled from civil-war Shanghai in 1949 and took a perilous journey to Hong Kong, jumping from the train when it came under attack. Robert’s memoir of his incredible life, Walking The Tycoons’ Rope, is Dymocks’ book of the month for May. 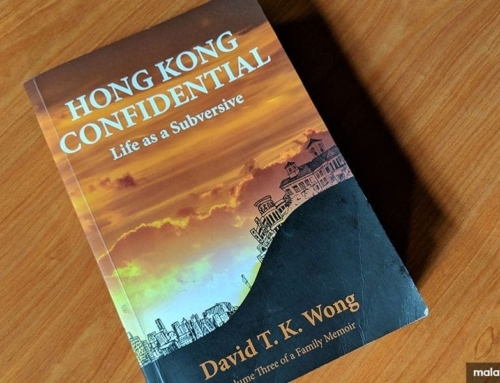 The rags-to-riches story offers a rare look inside the unimaginably wealthy world of Hong Kong’s property tycoons, but the tales of his previous poverty — arriving in Hong Kong as a refugee and living beside Kowloon’s walled city — are equally compelling. Robert was also interviewed last week by Time Out Hong Kong. Every city in the world has a core number of residents who take an active interest in the history and culture. Only those who are interested in purchasing your publications. Unfortunately, because of the change of sovereignty, not many are nostalgic about the colonial past. Places like Singapore and H K do not have a large enough English-reading public to sustain many such publications. One has to work hard. I have been trying foster interest in North America about Hong Kong. Hi Frankie, luckily there seems to be enough interest to support a niche publishing company such as ours. We’ve put out about 60 books on local themes now. Thanks for your efforts in North America. We are selling our books over there, but of course it is a challenge, partly due to different awareness levels but also because there is so much competition for bookshelf space these days. You can’t rely on book-shelf space. It is important to tie interest in China with H K. You can only exist as a niche market. Not easy to have a writer to establish a name in a highly competitive and congested market in North America. Evan many British and Australian authors are not known here, not to say Hong Kong or Singapore. I am surprised that neither H K nor Singapore takes any interest in each other’s writing population. There is mutual alienation. You’re right about HK and Singapore. Also Bangkok, Beijing and other big cities in the region… there is very little cross-pollination. Singapore and Hong Kong share a lot of common background. Both have a high concentration of ethnic Chinese and their educational system are very similar. When I was studying English in primary school in H K in the 1960’s, the English textbooks were written for Malayan students. The teacher in the books was called Mr. Abdulah. Unfortunately, the English reading public of both cities seem to be living in two completely different worlds. Glad to know Mr. wang’s book is the best seller of South China Mourning Post which practices self-censorship and shocks the entire media world. H K is getting less and less liveable for expatriates. I think CY Leung will make the place more Chinese and less hospitable to foreigners. Books about the financial situation of China and relating to H K have a market outside H K. Financial types need good analyses and commentaries which are independent and professional. Mainland Chinese researchers cannot satisfy that rigorous demand. Look at the South China Morning Post self-censorship scandal you can draw your own conclusion. If you can sell 2000 copies of a single title, you celebrate with champaigne. In the USA, a major publisher gives an advance of $1 million to a fiction writer before he lifts his pen, metaphorically speaking. I am familiar with the Hong Kong and Singapore mentality. They have similarities and major differences. Your books may appeal to one group but not the other and vice versa. In Hong Kong, unless the book is a school or university text-book, if you can sell 5000 copies you have hit a home-run. In fact, subjects which interest H K readers may not have a wider appeal outside H K.
I was amazed how uninterested Singaporeans are about Hong Kong and vice versa. I am being approached by one or two North American universities which want to set up programs about Hong Kong. Asian writers need to have more exposure in North America. Their themes must make the inward-looking Americans interested. That is not easy. I tried to buy a number of them and carried them back to USA to distribute to public and university libraries. That may gain some visibility.